Timing Belts are a superior alternative to V-belts, Roller Chains and Gears in an amazing number of applications. 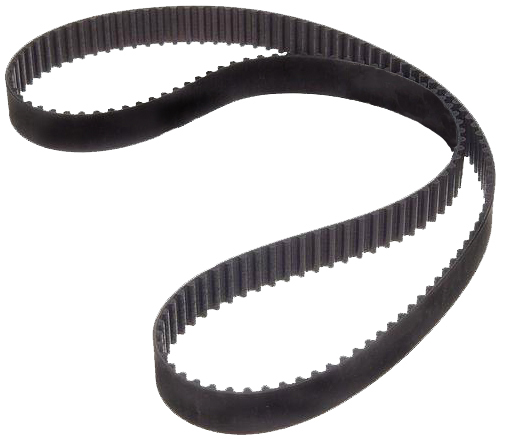 Engineers deals in the entire range of Rubber and Poly-Urethane (PU) Timing Belts in standard and special widths and lengths. We stock Timing Belts of globally renowned brands thereby maintaining our focus on quality and ensuring customer satisfaction. 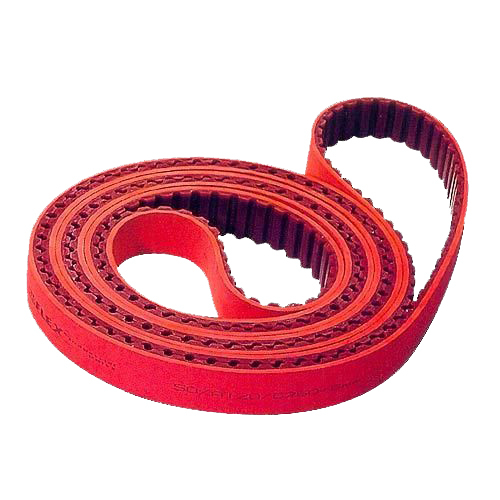 The following are the various types and dimensions of Timing belts available in both Rubber and Poly-Urethane. A synchronous timing belt is a toothed belt, usually of reinforced rubber / poly-urethane that meshes with the grooves of a pulley in a synchronous belt drive. It usually drives the camshaft in an internal combustion engine. These belt drives, unlike flat and V-belt drives are positive and maintain constant speed during power transmission, thereby avoiding slippage. Synchronous Belts have a trapezoidal tooth profile. These belts are based on imperial (inch) as well as metric (mm) pitch sizes. 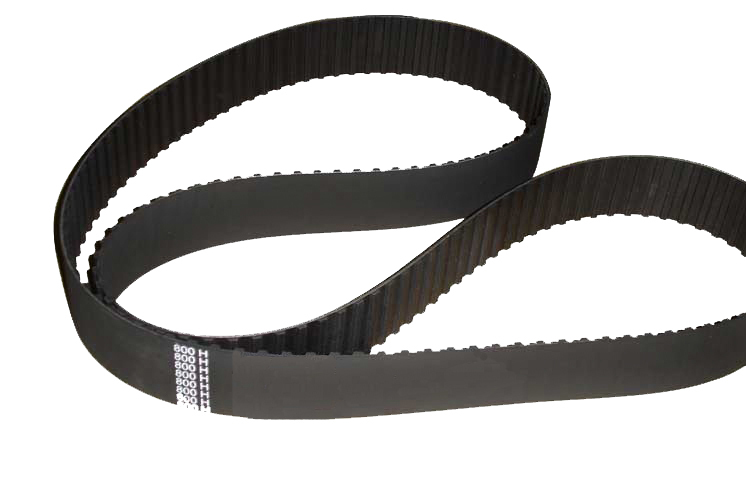 These distinctive Timing Belts are recommended for synchronized serpentine drives where load transmission is required on both sides of the belt. It eliminates the noisy oily chain drives and offers a long virtually trouble free service in wide horsepower range. They are specified the same way as timing belts except with a "D" prefix. 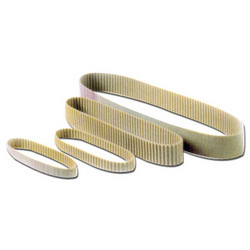 Double sided timing belts are available in the following series: DXL, DL, DH, DT5 and DT10. Open ended belts in some of these series available on request. Poly Chain GT carbon Belts provide positive trouble free power transmission in low speed high torque applications. Gates Poly Chain GT Carbon belt is part of a powerful synchronous belt drive system that outperforms roller chain in even the most demanding high-torque applications. These belts are available in 8mm and 14mm pitch sizes. 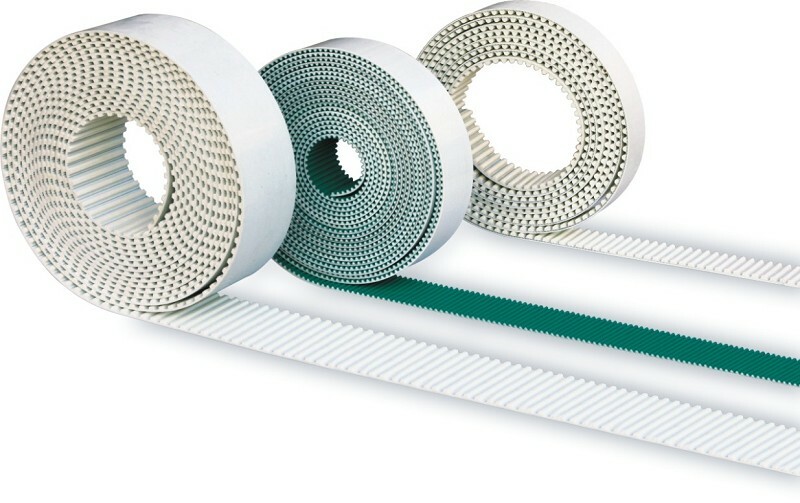 Our Timing belts are one of the premium products available in the market.We deal in Timing belts of leading brands like Mitsuboshi, Gates, Optibelt and Continental Contitech. 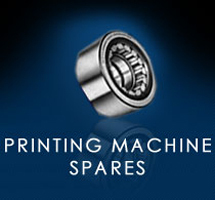 We offer a wide selection of Timing Belts to fulfill the dynamic power transmission requirements of our customers. Special widths are cut to order from our sleeve stock for fast delivery. 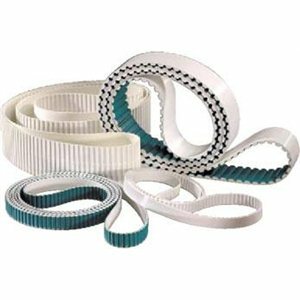 Timing belts play an important role in tooling machinery, textile machinery, medical equipment, vending machinery, garden machinery, household electrical appliances, measuring instruments, automobiles, food processing machines and printing machines.